For Youth Development. For Healthy Living. For Social Responsibility. 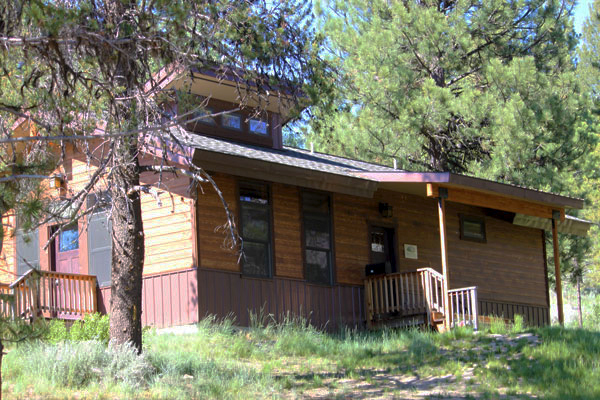 The YMCA camp at Horsethief Reservoir is located on over 415 acres of diverse Idaho wilderness. Swim, kayak, canoe, fish or paddle board in our private waterfront cove, explore our wetlands to learn more about the environment, hike, or climb some of the amazing rock formations found on site, or just relax on the front porch of the lodge while you take in the beautiful vistas that surround you. Whatever you choose to do during your visit, the experience will be a life-changing event that leaves you with fond memories for years to come. 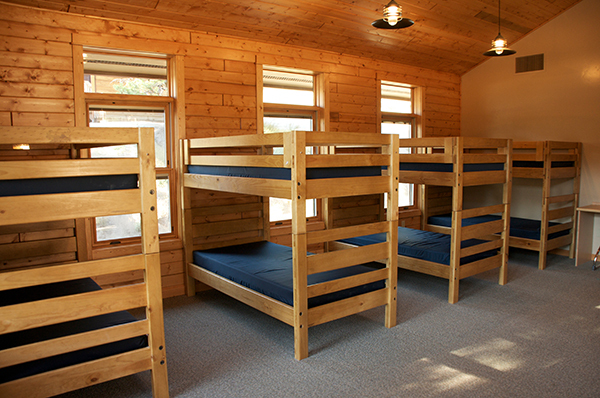 Our beautiful cabins include a tiled entry way with coat hooks and shoe cubbies, a central carpeted area surrounded by bunk beds, and a modern restroom with a double sink, two individually enclosed toilets, and two private showers with adjoining changing area. Designed to stay cool during the summer months, yet equipped with heat for the cooler months, each of our nine cabins will sleep up to fourteen people comfortably. 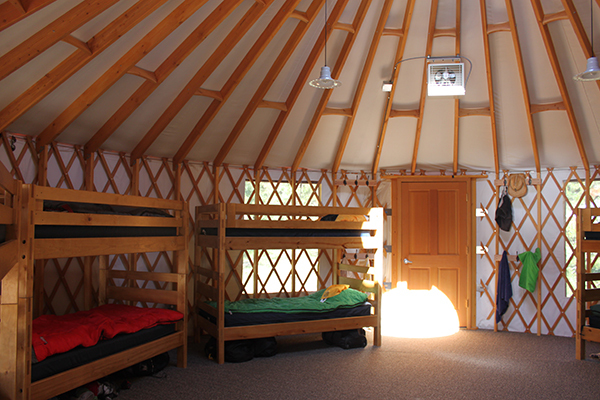 Our seven unique yurts are surprisingly roomy and comfortable with an open carpeted area encircled by six bunk beds to accommodate up to twelve people. 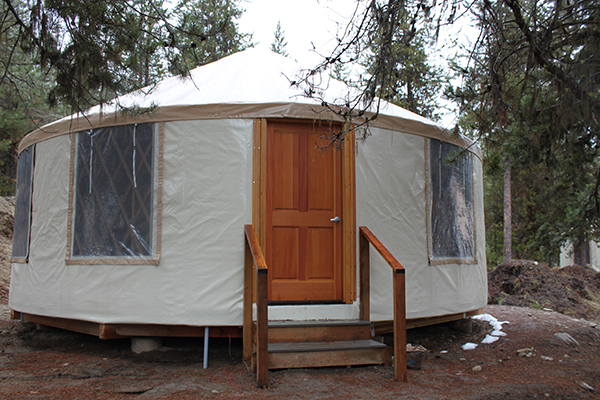 Each provides warm weather ventilation for the summer, heat for the cooler months, and are located within easy walking distance to our modern shower house. 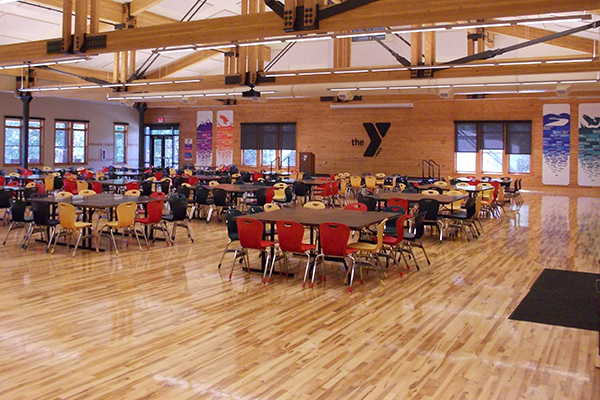 Triple J Lodge: This beautiful facility, the largest indoor venue in Valley County, serves as the dining hall as well as a large group meeting space with a capacity ranging from 300 at tables to almost 1900 standing. Complete with a stage and state of the art audio/visual abilities, this building is an excellent place for speakers and presentations. The Barn: More rustic than the Lodge, this cozy gathering space consists of two medium sized breakout rooms, the Barn Main Room can accommodate 50 participants and the Barn addition accommodates up to 100 participants. Flat screen monitors, water fountain, and modern restrooms are available in this facility. Pavilion: Nestled on the edge of a lush wetland, this beautiful covered, open-air meeting space is designed to accommodate nearly 200 at tables, yet can still feel cozy with small groups gathered around the outdoor stone fireplace. 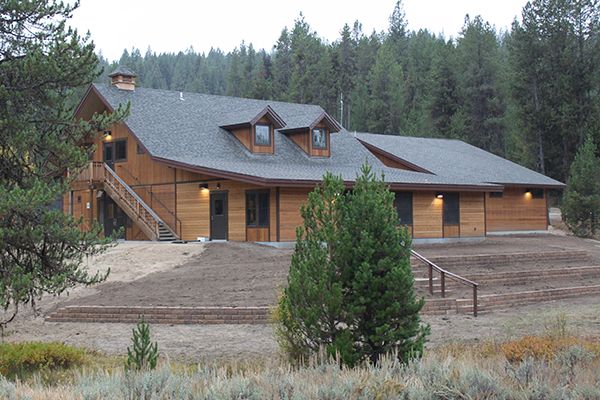 This facility offers lights, power, and a potable spigot with restrooms located in the nearby Triple J Lodge. 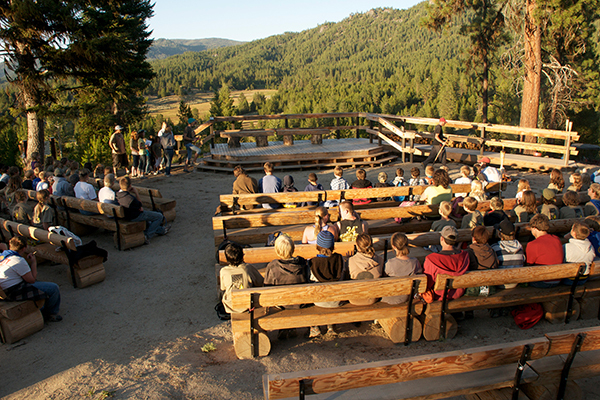 Council Campfire: Enjoy the impressive view overlooking camp from this scenic spot after a brief uphill hike, watch a prepared skit on the large stage, or gather around the fire pit. This spectacular area has bench seating for 250 and a vault toilet nearby. 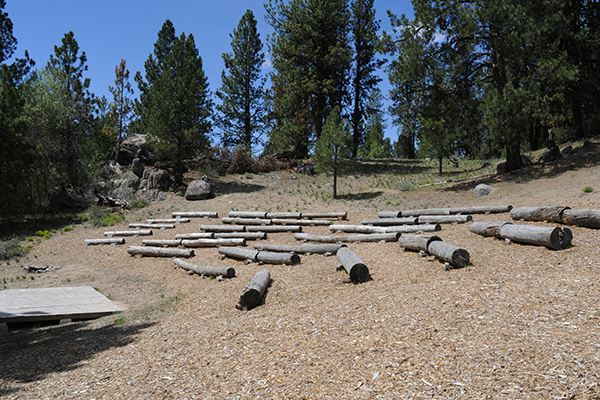 Starlight Amphitheater: Built by our Ranger Campers, this centrally located and easily accessible amphitheater seats about 250 on rustic log benches set into the hillside. 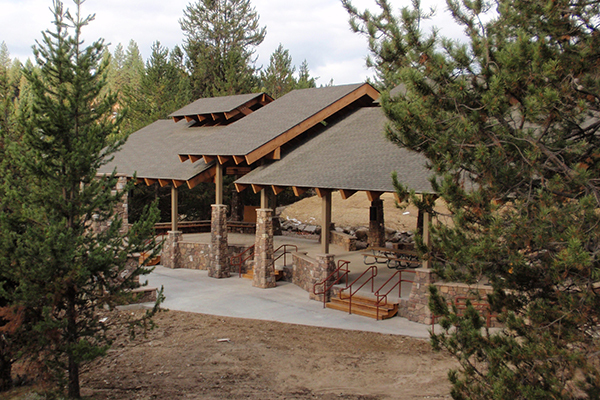 Like Campfire Council, this site also features a large stage and fire pit and offers portable restrooms. Waterfront: Our beautiful waterfront is a bit of paradise in the mountains providing a scenic and serene experience from a canoe, kayak, or paddleboard. The waterfront also boasts a sand volleyball court and swimming area, staffed with certified lifeguards. 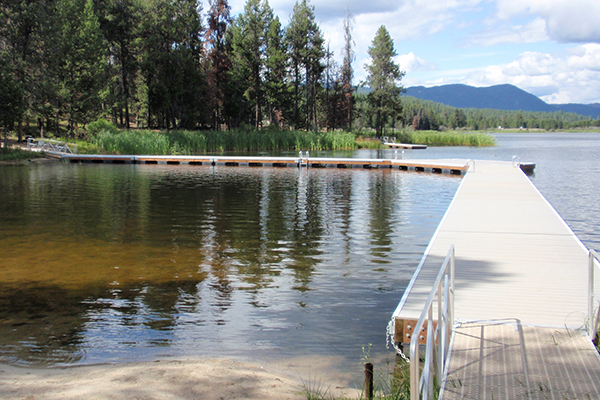 Since Horsethief Reservoir is a fully stocked trout lake, it is one of the most popular fishing locations in Idaho. Buzzard Climbing Tower: Our one of a kind climbing tower opens an entire world of climbing to campers or your group members. 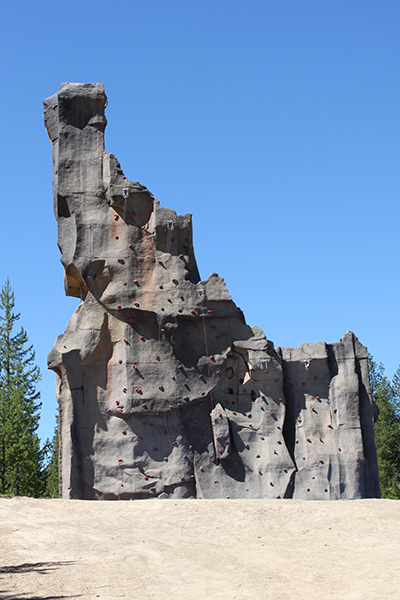 Shaped in the form of Idaho, our tower provides unique bouldering and sport climbing. Y Camp also boasts several nature climbing areas to test your nerve on real rock. 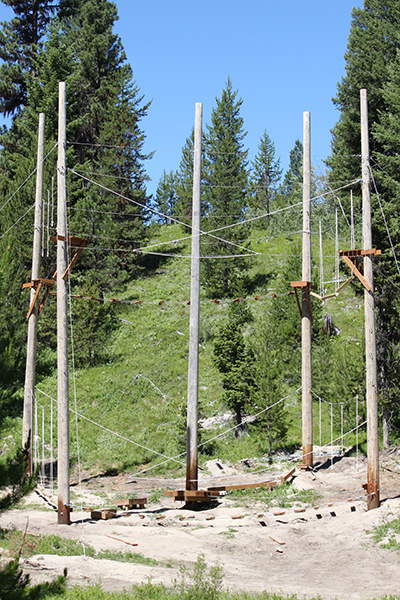 Challenge Course: A mixture of low and high ropes course elements that our staff use in conjunction with initiatives to create a custom teambuilding experience for each cabin or group. Zipline: Our 600’ zipline lets you fly across the wetlands and feel the wind in your hair. Participants must be at least 12 years old (no exceptions). Playfield: Large grassy area with soccer goals. Paved Court: Basketball, street hockey, or quidditch, anyone?